Journalist Oleg Kashin writing for the Russian Kommersant newspaper has been brutally beaten in the center of the Russian capital. Investigators cite his professional activities as a possible motive of the crime. “The investigation is working on different versions of the committed crime, of which the priority ones are the journalist’s professional activities and his personal civil stance, which Kashin expressed in his blog,” said Russia’s Investigation Committee’s statement. Investigators are studying Kashin’s publications and correspondence on the Internet, as well as his contacts. Nearly 30 people have been questioned and police have also examined his flat and office. 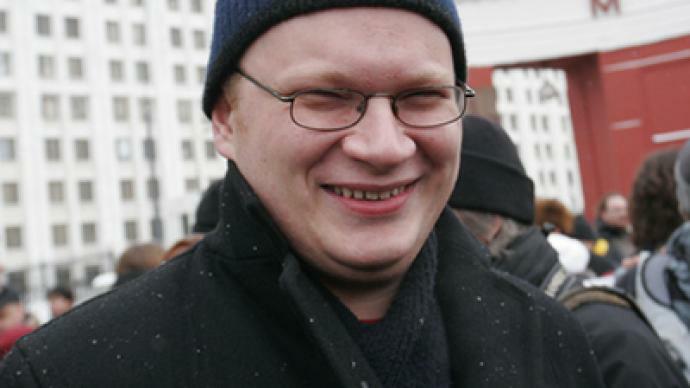 According to Kommersant editor-in-chief Mikhail Mikhailin, Oleg Kashin has been operated on for the second time. Mikhailin added that the journalist's state is assessed as serious but stable. Oleg Kashin is still in an induced coma in order to avoid shock from the pain. The journalist was attacked on Friday night near his home. Witnesses said two men were beating the man with a heavy object. Oleg Kashin suffered severe injuries and has been taken to hospital. A criminal case has been launched on charges of murder attempt. President Dmitry Medvedev has instructed Prosecutor General Yury Chaika and Interior Minister Rashiod Nurgaliev to take the case under his special control, Interfax reports. “The investigation is considering various motivesbehind the assassination attempt, including his work, of course. Currently, the investigators are studying the CCTV footage. It's clear that there were two attackers”, the agency quoted Investigation Committee spokesperson Vladimir Markin as saying. Several activists protesting the road development through the Khimki Forest, which requires extensive logging, have also been attacked in recent months. The editor-in-chief of Kommersant newspaper, Mikhail Mikhailin, believes that the assault was connected with Kashin's publications.”During the attack they broke his fingers. When he was found, he had his telephone, money and documents,” Mikhailin said.“Apparently, those who did this do not like what he says and writes.” Former chief editor of Kommersant, Andrey Vasiliev, noted that Oleg Kashin was also an outspoken blogger –so his views could provoke such a response.“Of course, the reason for this attack is Kashin's professional activity. He was a popular blogger, and he was more open and outspoken online than in the paper. Kommersant has a more reserved style,” said Vasiliev. “This beating is very similar to the attack on journalist Michail Beketov which took place a couple of years ago. The smashing of his fingers, for example, so that he couldn't write any more. There is an element of a horror show here.”The journalist specializes in political and social news. He has been covering a number of controversial issues, including the situation surrounding Khimki Forest.